Hong Kong is a vibrant and fun city to visit with a stunning skyline along the harbor, great restaurants and nightlife, lots of shopping and some very memorable sights. It’s also one of the most expensive cities in Asia, so you want to choose your hotel carefully – and that starts with picking the right location for your visit! 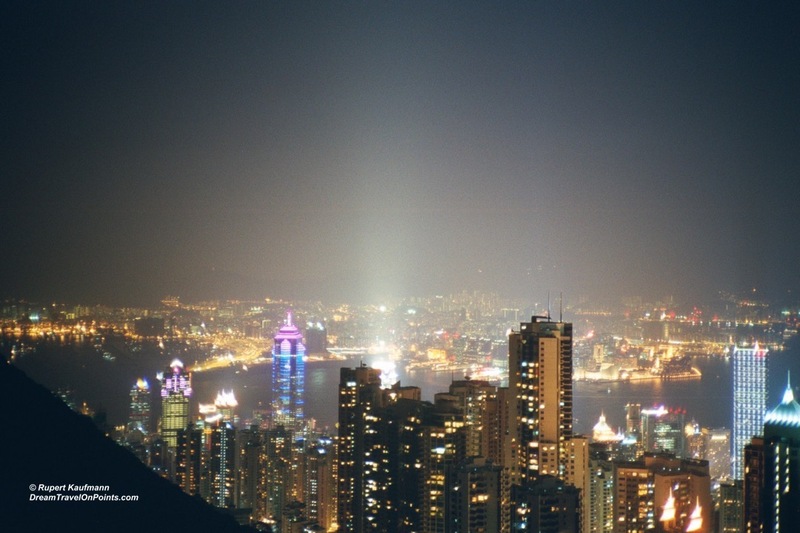 For most visitors, the key question is Kowloon or Hong Kong island? Visiting for sightseeing, restaurants and nightlife? Stay on Hong Kong island. 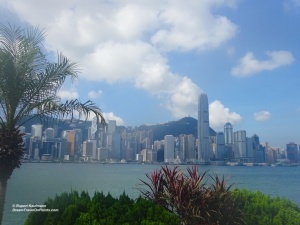 If it’s your first visit to Hong Kong and you want to see the sights, sample the food and nightlife and do some shopping, I recommend to pick a hotel near Central on Hong Kong island. You will be close to the tram to Victoria Peak for stunning views over the city and the historic buildings, making sightseeing a breeze. You are also close to the nightlife area of Lan Kwai Fong or the new, hip and trendy, Sheung Wan. You can travel the unique mid-level escalators up the hill and sample the many great restaurants in mid-level. And a short train ride will take you to Causeway Bay for brunch in an outdoor restaurant on a pedestrian street! Just as in New York or London, you’ll be able to get a taste of the different neighborhoods and feel like a local! And you’ll also get a chance to shop, from glizzy malls like Pacific Place to the brand stores (and not-so-brand stores) in Causeway Bay. You will find some of the best hotels in Hong Kong here, like the Four Seasons, the Mandarin Oriental or the Island Shangri-La. They all come at very high prices. If you want to be on the island, but pay less, head towards Causeway Bay or Sheung Wan for somewhat lower prices. The ibis and Holiday Inn Express in Sheung Wan or the Novotel and Holiday Inn Express Causeway Bay offer good accommodation for a lot less! Return visit to shop, shop, shop? Stay in Kowloon! Many serial visitors and shopoholics stay on the Kowloon side, near Tsim Sha Tsui. You’ll be in the middle of countless malls, stores and markets, selling everything imaginable, offering you more than your feet or wallet can (probably) handle! You’ll be able to walk to most of it and there are plenty of restaurants at the malls and among the stores. And while you are not on the island, you get the best views of the island skyline! And you are just a short ride away on the iconic Star Ferry or the even quicker subway! Hotels of the same category are a bit less expensive than on the island, giving you better value for your stay. My favorite hotel in Kowloon is the InterContinental Hong Kong with fantastic views of Hong Kong! It’s the best place to stay for New Years with close up views of the fantastic fireworks! The iconic Peninsula Hotel has great views, too. And the next-door YMCA has the same views for a lot less. There are countless hotels around Tsim Sha Tsui – The Icon and the Langham are very popular. The Holiday Inn Golden Mile is right in the middle of everything and the Sheraton Hong Kong is not far either. If you want to stay for less, you can check out MongKok with hotels like the Hilton Garden Inn or Holiday Inn Express for a little less! Whichever neighborhood you choose for your trip, I’d recommend to stay close to a subway station for quick access to everywhere else and you’ll have a great time!